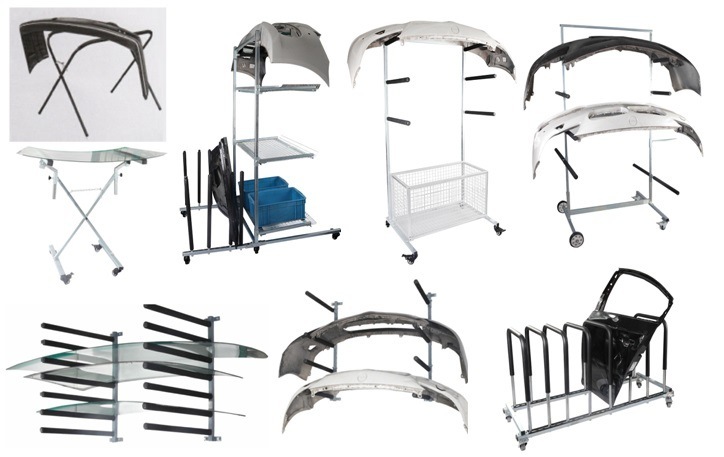 ANONA offers various types of storage racks for car body shops for meeting vehicle workshops requirements and needs. Material: 2mm thick steel tube powdered and bent; diameter is 25mm. It is suitable for body shops with limit space laying of bumper and windshield. The stand height can be adjusted by the chains. Tubes are sheltered by sponge to avoid any sort of panel scratch. Easily foldable and light-weight, the stand can be stored if not in use. Lowest is 1010 x 800 x 700mm (L x W x H); highest is 1010 x 350 x 950mm (L x W x H). 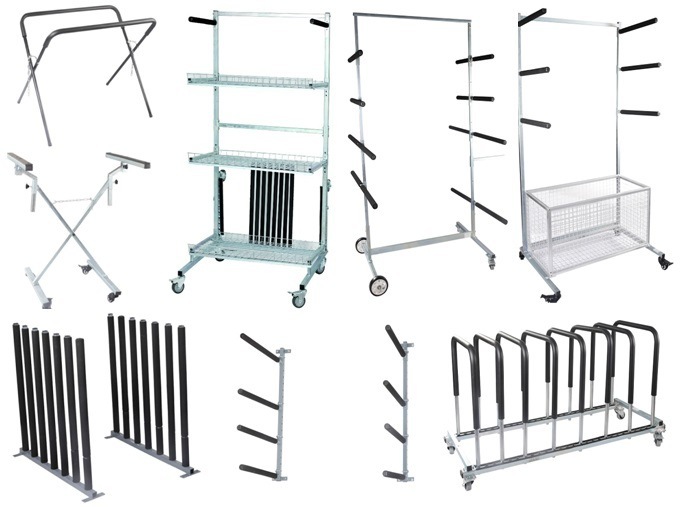 These Auto Body Storages Racks are highly effective for running aÂ service site for car body shops. ANONA AUTO REPAIR EQUIPMENTS includeÂ "Moveable Dust-Free Dry Sanding Set", "Shortwave Infrared Curing Lamp", "Tyre Changer", "Wheel Balancer", "Air Compressor" and so on. ANONA CAR REPAIR TOOLS include "Air Hose Reel", "Electric Polisher", "Paint Booth Filter", "Paint Stands", "Masking Paper, Film & Tape" and so on. For more details, please refer to our "Product Page-Auto Repair Equipments" & "Product Page-Car Repair Tools" . Cixi Air-Fluid Teflon Washer Fitting is a new featured products introduced by Cixi Air Fluid Company ,which can be interchanged with BSPP ,BSPT & NPT Threads ,Non Leakage. A.Resistant to many chemicals, includes ozone, chlorine, acetic acid, ammonia, sulfuric acid and hydrochloric acid. C.Non Stick::Very few solid substances will permanently adhere to a Teflon coating. While tacky materials may show some adhesion, almost all substances release easily. E:The Teflon Washer Series Fittings with Class-A O-ring ,The FKM O-RING available for special required .